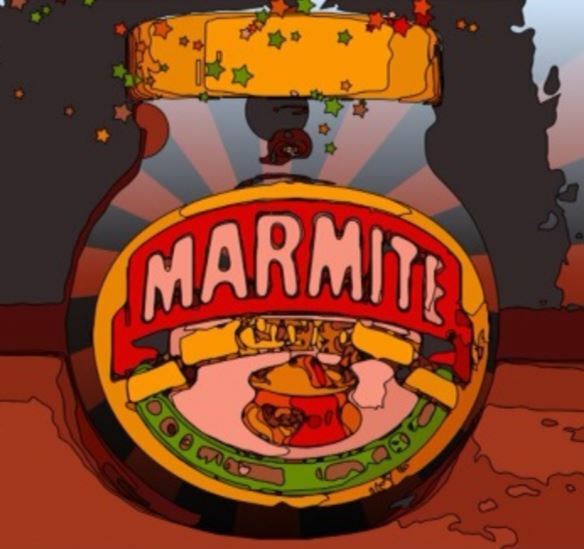 ‘The Marmite Gene Project’ found that people are born biologically more likely to be either lovers or haters of Marmite. I have no scientific proof but I’d say the same goes for teachers and assemblies. Some love ‘doing’ an assembly and some definitely swerve the rota and will always find something else to do when it’s their turn. For me, leading an assembly is definitely one of the perks of being a teacher. Where else are you going to get a captive audience of hundreds that hang on your every word?! They are a powerful part of school life and taking one is a privilege. Assemblies can fill some teachers with dread and fear because these are normally whole-school get-togethers where all eyes on you and there is nowhere to hide! Performing in front of your colleagues isn’t everyone’s cup of tea but they are something you can grow to like and get better at the more you do. But avoiding them is not an option as every member of the school staff, pupils and occasional visitors will be involved in leading an assembly at some point in the school year. Assemblies are golden opportunities to meet as a school community and should be the fabric of school life to promote spiritual, moral and cultural development and reinforce the school’s values. They are a valuable and valued experience for all members of a school community whatever their backgrounds and beliefs. Collective worship is distinct from assembly which can be a gathering for a wide variety of reasons. The majority of schools in the UK are required by law to organise acts of collective worship (England, Northern Ireland, Wales) or religious observance (Scotland) for their pupils. The majority of such acts during any school term must be of a ‘wholly or mainly of a broadly Christian character’ and should be concerned with ‘reverence or veneration paid to a divine being or power’. But is there a place for ‘collective worship’ or ‘religious observance’ in schools? There can be a cross-over between the two and assembly activities can legitimately be called worship e.g. Collective worship and assemblies are a meeting of differences where a variety of faiths, different cultures, different ages and different backgrounds gather together. But collective worship is a real can of worms and some have said that it actually puts children off from worship because it “is not done particularly well”. The reality in our schools is that there is a high level of non-compliance with the law and there is almost a total lack of any attempt to enforce it. This is why many argue that collective worship, in a plural and fair-minded society, gives way to a requirement to hold inclusive assemblies as these can genuinely contribute to the social and moral development of children and power mutual understanding between children of different religions and beliefs. The AHRC report recommends removing the requirement that acts of collective worship be of a broadly Christian character and advises replacing the duty with a duty for a ‘time for reflection’. Reflective assemblies do this and are more inclusive because they allow schools to address a whole range of topics, including faith and belief. Assemblies then are an important part of building a strong school community as they are a powerful opportunity for children, staff, parents and visitors to learn, celebrate and share together and to establish a shared sense of identity. They benefit the whole school, they link the school to their wider community, contribute to personal development and enhance awareness of global citizenship. Leading an assembly is a skill and they need careful planning. Although experienced colleagues might be able to take an assembly at just a few minutes notice, these aren’t events that you can just turn up at and ad lib like a comedian. Assemblies can easily fall flat on their faces without preparation and turn an engaged and respectful audience into an awkward and uncomfortable one. The content of all assemblies needs to be considered carefully to ensure relevance and suitability for the ages, aptitudes and backgrounds of all pupils, as well as the balance between faiths. Merely meeting together to share announcements and notices is a missed opportunity because assemblies are a time to educate, reflect and grow as a school. A variety of styles, active and interactive methods and a range of resources also need to be used in assemblies so that they never become predictable, routine and tedious. Social – this is a collective experience that needs to speak to everyone for it to be truly inclusive and so selecting a topic that doesn’t alienate anyone is essential. Hued – there are plenty of vanilla flavoured assemblies out there which are great if you like vanilla. But vanilla every time is boring so assemblies have to be colourful, vibrant and diverse. 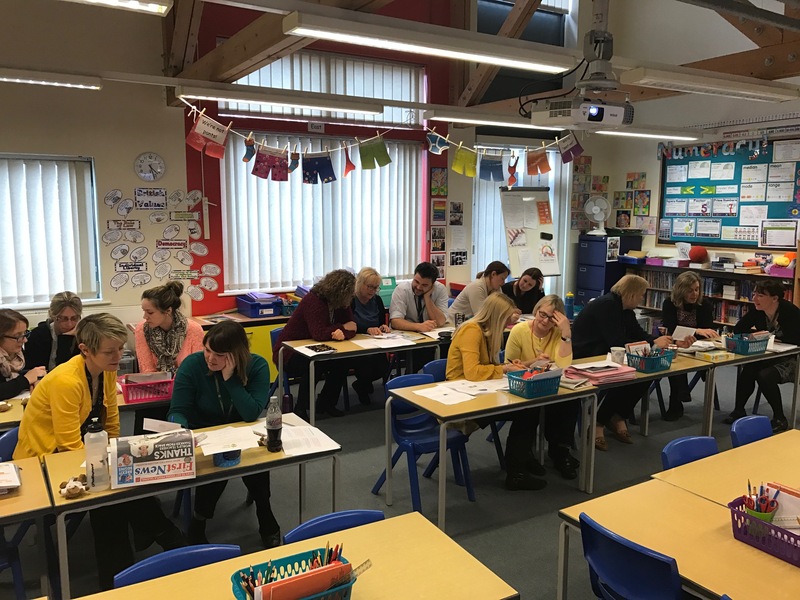 Interrelated – assemblies are the perfect opportunity to make connections across the curriculum and to join thinking and experiences together so that children appreciate links and start searching for them independently. New – assemblies have to be challenging and provoke thinking so that children can develop resilience, empathy, positivity and creativity. Assemblies can help build capacity for new skills and so every assembly needs to deliver a new experience. 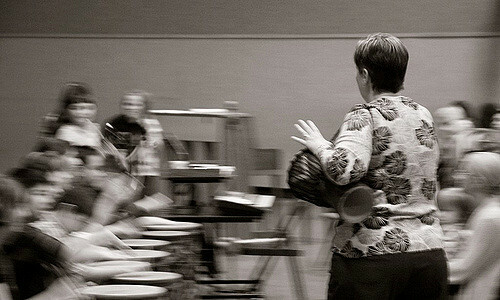 Energetic – assemblies don’t have to be all singing and all dancing but they do need 100% passion and energy so that drive and verve inspires children. Children have to leave an assembly with something to think about, something that has stirred them and something they will talk about at home. The most important aspect of an assembly is the concept of wholeness so that everyone in the school feels valued, cared for and respected. Assemblies that shine create the conditions for positive connections to be made where children enjoy being part of a supportive school family. They also contribute to developing children’s personal autonomy, contentment and emotional wellbeing. It’s a real honour to take an assembly because as teachers we have the potential to really make them special and memorable and contribute to the overall health of the school community. When the news makes the news then that really is news! Put simply, the news has never more been ‘in the news’. Over the last couple of years there has been definite media literacy movement to raise the profile of ‘news nous’ and combat misinformation with many schools putting ‘news’ on the curriculum. In a time in which almost anyone can publish information, many are calling for news literacy to become an established part of the curriculum so that children can be critical commentators and canny consumers. According to University of Salford research, education must be adapted to help children recognise fake news. Researchers surveyed 300 children from years five, seven and nine at schools in Manchester, Liverpool, Scotland and Wales and found although the majority of children said they knew what fake news was in practice they were far less savvy at spotting it, particularly the more ‘subtler’ forms. Providing children with the know-how to find and filter information is essential in nurturing a clued-up and clued-up society but high-quality training support to teach news literacy is lacking. However, big efforts are underway. The BBC is launching a new programme starting in March targeted at secondary schools and sixth forms supporting young people to identify real news and filter out fake or false information. Schools will have access to free online materials classroom activities, video tutorials, and an interactive game where the player experiences being a BBC journalist in the heart of the newsroom. Around 1,000 schools will be offered mentoring – in class, online, or at events – from top BBC journalists such as Huw Edwards and Tina Daheley. Another initiative is being developed jointly by the Guardian Foundation, the National Literacy Trust and the PHSE Association. Starting in the autumn term, the News Wise pilot programme will provide primary teachers with a bank of online resources, lesson plans and journalist-led workshops to help children how to access, navigate, analyse and participate in the news. Primary schools can register their interest here. Clearly there is a need to teach children how to spot misinformation, distinguish fact from fiction and identify persuasion in communication. Many are naïve and unsophisticated recipients of news information and can be easily hoodwinked and bamboozled. I’m not so sure. Are we doing our children and ourselves a disservice? Have we underestimated the progress we have already made in highlighting fake news and other news literacy issues? Children aren’t mindlessly lapping up everything that comes their way and are questioning the content they see. Some children are probably far more news literate than many adults and according to research by Ofcom, ‘tweens’ are ‘getting wise’ to fake news and aren’t fooled by what’s hitting the headlines. Ofcom’s Children and Parents Media Use and Attitudes Report 2017 is a fascinating insight into the media use, attitudes and understanding of children aged 5-15, including information about the media access and use of children aged 3-4. The report tells us that secondary aged children are more likely to be guarded about the reliability of news updates they see on social media and 86% of those surveyed say they would make at least one practical attempt to check whether a social media news story is true or false. They regard news on the TV, the radio and news from family and friends to be reported more truthfully than social media. Older children prove themselves to be conscious and responsible consumers. If they encountered fake news then 35% saying they would tell their parents or other family member, 21% would tell a friend, 18% would leave a comment saying they thought the news story was fake and 14% would report the content to the social media website directly. There are still many children who struggle to separate fact from fiction and 8% say they wouldn’t make any checks but reassuringly Ofcom found that almost all children do report that they have strategies for checking whether a story is true or false. The reasons for this could be a lower trust threshold born out of recent efforts to help children be more news savvy around competing narratives. The Government is determined to play a bigger role and recently announced plans to establish a new unit to counter ‘fake news’ and combat ‘disinformation by state actors and others’. However, England has opted out of out of an international standardised test designed to assess how well children can spot fake news saying that it would be an additional burden for schools. The good news is there is no bad news when it comes to children’s interest in a range of topics. 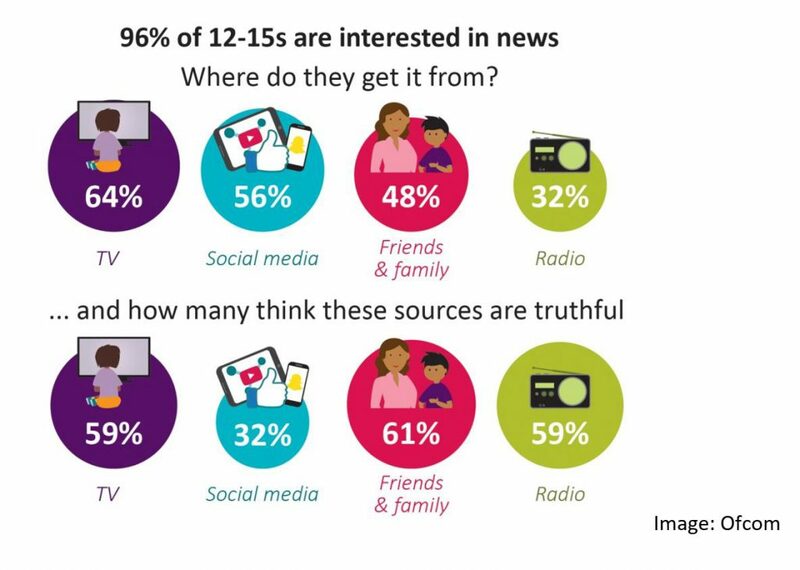 Encouragingly, Ofcom found many children are interested in the news despite the myth that children ‘just aren’t interested in the news’ – they are. 50% of 12-15 year olds say they are interested in ‘reading, watching, listening to or following news’, with nearly one in ten very interested. Children’s interest in a range of news is a healthy one. So often children can be overlooked and their views can be marginalised but now they are right at the epicentre of the news, they are shaping the news and they are being equipped to be sophisticated real news spotters. The great news is that children’s news literacy is on the front page and hitting the headlines. Children are ‘big news’ and that’s the way it should be. 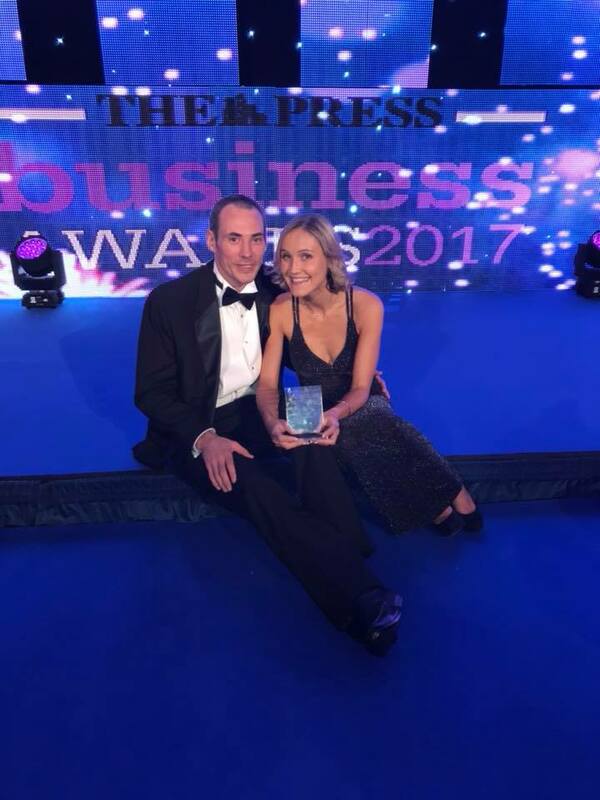 Picture News win ‘New Business of the Year’ at the Press Business Awards! 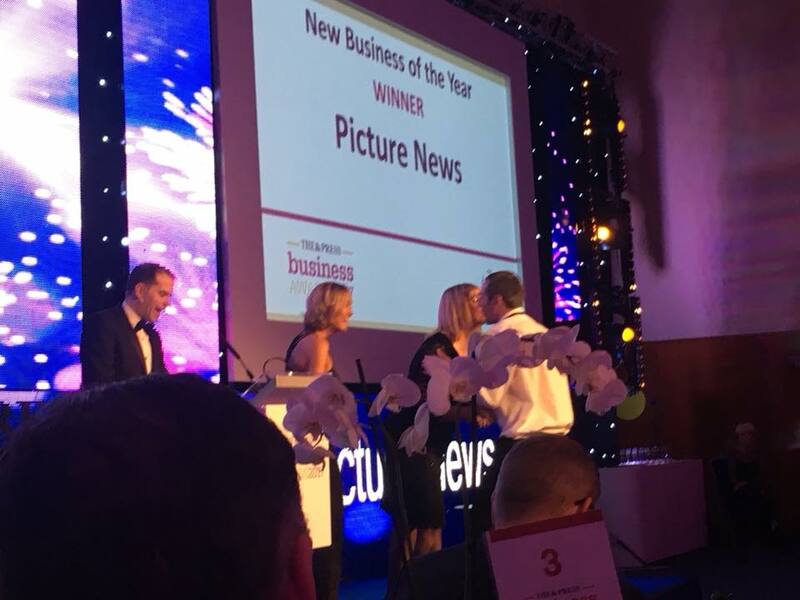 At the Press Business Awards last week, Picture News were announced the winner of the ‘New Business of the Year’ category. Around 30 different companies were shortlisted and whittled down to just 3 finalised. We have been producing images for thousands of years and long before the written word was introduced. Prehistoric or primitive art was a form of communication through images and it was these pictures that did all the talking. Fast-forward to today and our image-saturated lives means that pictures still speak louder than ever. In a world of social media and the instant sharing of images, the idiom ‘A picture is worth a thousand words’ seems to have more and more truth and power to it than ever before. Pictures pack a punch and are stronger than ever. 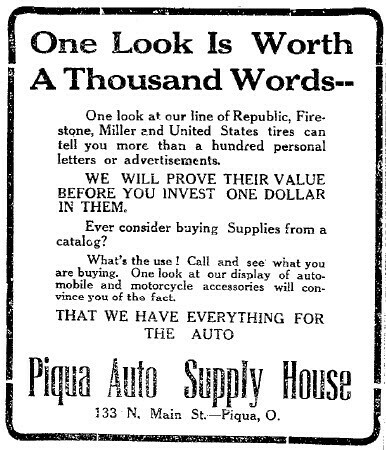 A similar phrase, “One Look Is Worth A Thousand Words,” appeared in a 1913 newspaper advertisement for the Piqua Auto Supply House of Piqua, Ohio. It is thought the contemporary use of the saying comes from an article in the December 8, 1921 issue advertising trade journal Printers’ Ink, in which Fred R. Barnard referred to “One Look is Worth A Thousand Words” to endorse the use of images in adverts on the sides of streetcars. 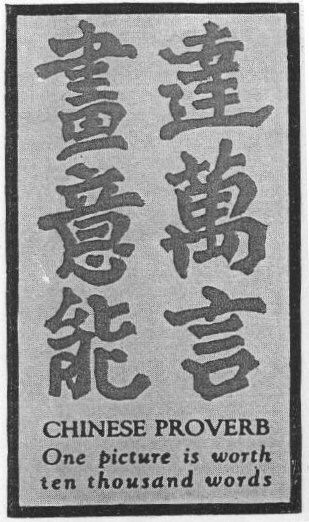 Barnard used another advert 6 years later using the phrase “One Picture Worth Ten Thousand Words,” which he wrongly credited as being a Chinese proverb so people would take it more seriously. As a result, the expression is erroneously attributed to Confucius. Then we have another saying, very similar in meaning: “Un bon croquis vaut mieux qu’un long discours,” or “A good sketch is better than a long speech” and this is often attributed to Emperor Napoleon Bonaparte. But is a picture worth a thousand words? Is it priceless or worthless? What makes a picture? Pictures can be emotional and beautiful, painful and traumatic and a million things in between. They tell a story without words and they instantly have impact. Some photos grab our attention like a Venus fly-trap and can provoke a range of emotions and feelings. They can affect our opinions and even motivate us to behave differently and take on a whole new perspective. Photos have the power to shape identities, life experiences and points of view. Pictures are commonly used in the news media because they add colour, weight and gravitas to a scene, situation or event. Above all, they tell stories that can give us insights about the world around us. Children need to be aware that all photos exist for a reason and knowing the purpose of a photograph and its intended audience can help with interpreting a photograph. Mobile phones with in-built cameras mean that taking pictures is now incredibly easy and in a sense everyone is a photojournalist. But visual reporting comes with real responsibilities as images are only part of a story and cannot describe the full picture. Direct, truthful and bold images are rare because a picture is open to interpretation and can easily be misconstrued. When we show children news pictures then we have to equip them with the critical skills to take a mental step back and think around the edges. In our media rich environment, becoming adept at decoding images is becoming ever more important. Most people immediately understand an image but this understanding can be incomplete because the image could be biased or doctored. A photo is a snapshot, a still moment in time and part of something much bigger, deeper and wider. 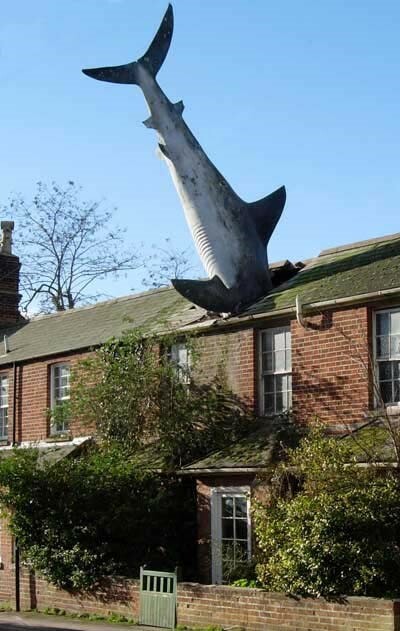 A picture is worth a double-take and then some more because it can be sketchy. Developing visual literacy is key to helping children become news media-savvy. Sharing pictures with children gives us the opportunity to help them ‘read between the lines’ and see that a photographer or photojournalist will have their own point of view and their own agenda. Taking a picture can be quite a natural and casual event but it can also be planned and executed according to a plan. The choices made by a photographer influence how we see the world and these can have huge implications. Help children to understand that photographers show us what they want us to see because they choose the setting and how they ‘shoot’ the picture. Children also need to know this: every photograph we look at was created at one point in time, in a particular place, of a chosen subject, by a particular photographer and for a specific purpose. The technology used also has a massive bearing on what we see – the manipulation and editing of pictures can profoundly alter our sense of reality. Talk about the key role news editors have in deciding what news we get to see. What do they think about the old newsroom adage ‘If it bleeds, it leads’? Sensationalism sells but are dramatic pictures exploitative and gross invasions of privacy? At the end of every year there are often photo news summaries devoted to taking a contemplative look at some of the key events and people that have ‘made the news’. These are often called ‘ The Year in Photos’ and are a great opportunity to think more carefully about the role of photos and the concept of ‘picture news’. Without showing children any of the news text, captions or summaries, ask them to consider what the stories might be about. First, encourage children to write down what they see without making any interpretation. How can you put into words what you see with your eyes? Look carefully at the position of people and objects, colours, objects etc. Next, can they describe what is happening? What’s going on? What more can they find? Why was this photo taken? How does it make you feel? What are you thinking? What questions do children have about the photo that they would want to know more about? Are the photographers’ an integral part of the event or are they fly on the wall observers? What did the photographer want to convey? Are they being paid to tell a visual story to capture news or were they just ‘in the right place at the right time’? Discuss the different interpretations of the photo and refer to specific features of the image that ‘speak to you’. What can we learn from this photo? A photograph can be interpreted entirely differently by groups of children and individuals so this exercise is an interesting one to compare and contrast perspectives and the biases of viewers. It also illustrates why we need words in the form of a report or story to shed more light and explain a picture. Looking at photos together and sharing experiences teaches children that photos only capture moments and they are seldom comprehensive or entirely representative. Incorporating photographic study into our visual literacy work offers not only an excellent opportunity for learning the challenge of accurate description but also how to see beyond the picture itself. While words can provide wider and deeper perspective many people only see the pictures and sometimes choose to ignore any accompanying text that explains the image, so impress upon children why it is important to read the corresponding article and caption that goes with it. Explain why analysing pictures and texts help us to respond more thoughtfully and critically so we aren’t just passive consumers of the news but active interpreters of the world around us. Another source well worth looking at is www.worldpressphoto.org/collection/photo/2017, a fabulous website where you can view the entire collection of winning images from the 60th World Press Photo Contest. This is the site where you can explore thousands of award-winning photos by year or theme and help children unravel and discover the hidden stories behind the photos. Ask children to look at some of the pictures from the past that have become ‘iconic images’. What is it about these images that have a lasting impact and what roles have they played in the legacy of the events? For example, the 9/11 Twin Towers photo – how does this affect how children think and feel about this event? Pictures may well be worth a thousand words but sometimes they are so powerful there are no words. These photos may be shocking, beautiful or both but they speak a different language because they transcend verbal communication. Sometimes news pictures just stun us and take us back to our primitive roots where images speak their own language. False, bogus, phony, sham, hoax, artificial, mock, pseudo, spurious….take your pick but the one word that has upended all of these synonyms is ‘fake’ and it’s a word we hear a lot about in relation to the news. ‘Fake news’ has become big news itself these days as more and more people remind us that there is a lot of it about. Spurious news stories have always been around but the weaponised buzzword ‘fake news’ rocketed and went viral after Donald Trump used it to describe some news reporting in the run-up to the US Presidential election and beyond. He has described himself as a victim of ‘fake news’ although it has been alleged that fake news might have been pivotal in his election success. Donald Trump is probably the most prolific user of the sticky phrase ‘fake news’ and milks media moment to voice his disapproval of dishonest reporting. The media ecosystem is full of ‘fake news’ and we are all vulnerable to being tricked, deceived and misled with children especially susceptible. According to the NASUWT in a survey of over 1500 teachers, more than 1/3 said their pupils have quoted fake news as fact in lessons and written work (see here). Fake news is of growing importance and Mr Trump is right – fake news is ‘very bad’ and not just for the US but the whole world and as teachers we share the responsibility of helping children sort the wheat from the chaff. Talking about the science of fake news is now a key part of our news literacy and digital safeguarding efforts. Develop critical thinking and helping children to analyse and judge the truth and accuracy of stories or information online is a core skill. According to the National Literacy Trust’s 2017 August report, ‘Fake news and critical literacy’; “children and young people in England do not have the critical literacy skills they need to identify fake news.” (see here). This must-read report is packed with insights and includes practical guidance for teachers. Following on from this report, on 13 September 2017, the All-Party Parliamentary Group on Literacy launched the Commission on Fake News and the Teaching of Critical Literacy Skills in Schools. To inform the commission, the National Literacy Trust has launched three surveys for primary and secondary school pupils, to discover what children know about fake news and to measure their ability to identify phoney news. The surveys are open from 13 September to 22 October 2017 and after completing them you can get access to free teaching resources to use with your pupils. Access the surveys here. But what exactly is ‘fake news’? To kick-start any discussion about fake news and develop children’s news literacy we need to talk about the concept itself, join forces and come to an understanding of what it is. We define “fake news”’ to be news articles that are intentionally and verifiably false, and could mislead readers. A type of hoax or deliberate spread of misinformation published under the guise of being authentic news to mislead in order to gain financially or politically. Fake news means fictions deliberately fabricated and presented as non-fiction with the intent to mislead recipients into treating fiction as fact or into doubting verifiable fact. Fake news is made-up stuff, masterfully manipulated to look like credible journalistic reports that are easily spread online to large audiences willing to believe the fictions and spread the word. Which definition do children think offers the best description? Can they write their own? (for more information about the inquiry click here). Fake news has lots of cousins and it is important to differentiate between them. For example, fake news could be confused with flawed journalism and intentional reporting mistakes, rumours, conspiracy theories, propaganda, satire, innocuous entertainment, partially true reports and biased reports. There are mischief makers who mean no harm and then there are extremists and tyrants who mean plenty of harm. Barriers to entry in the media industry have dropped precipitously and this democratisation of media allows anyone now the opportunity to be a “journalist”. Coupled with that, it is now easy to set up websites and sharing via social media means news can travel fast and often generates significant advertising revenue. Under new plans agreed by the German government, social networks that fail to remove defamatory “fake news”, hate speech and other illegal content will be fined up to €50m (£43m). The proliferation of phoney news online has been enormous and dubious news features appear on several types of websites. Some of these are set up wholly to print deliberately untrue and misleading stories. The names of these websites are often carefully selected to resemble those of legitimate news organizations. Other sites that parody the news contain features that might be interpreted as factual when seen out of context. There are then sites that mix factual articles with some false articles. The entertainment website www.react365.com has been set up to show how easy it is to create a fake news story. Andreas Schleicher, the education lead of the Organisation for Economic Co-operation and Development says that children should be taught how to spot fake news in schools. He says that being able to distinguish fact from fiction is an essential skill in the modern age and teachers are well placed to provide guidance, leadership and support. Teaching children to be news-savvy and read between the lines is crucial but where do we look for resources? The International Federation of Library Associations and Institutions (IFLA) has produced an excellent infographic to help support us when spotting whether a news item is for real or not. Another resource you can use comes from the News Literacy Project. They have produced the checklist ‘Ten Questions For Fake News Detection’ and supports children with identifying whether they have spotted an illegitimate news source – for more details see here. Sometimes websites are so convincing they can hoodwink us into thinking they are credible especially when they use images and videos. Worryingly, it is clear that many young people are not making critical judgments about the information they find online. For example, take a look at the BBC ‘Fake News’ report found here. They visited one school and gave children six stories to read on their iPads and they were asked to try and work out which ones were fake– in fact they all were and the children’s reactions are interesting and insightful. Take a look at their fake news quiz too found here. Ofcom’s 2016 report ‘Children and parents: media use and attitudes report’ found that 28% of 8-11s (28%) and 27% of 12-15s believe that if a website has been listed by Google then it can be trusted, while around one in ten in each age group don’t think about whether the results can be trusted. Since the mid-1990s www.snopes.com has been writing about viral claims and online rumours and it maintains a list of known fake news websites. Other fact-checking sites include www.politifact.com , www.factcheck.org, www.Hoax-Slayer.net and www.TruthOrFiction.com. See as well www.poynter.org, the home of the International Fact-Checking Network. You can also use Google Reverse Image Search to check an image (see www.ctrlq.org/google/images/). In March 2017 Google introduced Project Owl, their initiative to combat the fake news that’s corrupting the web (see www.blog.google/products/search/our-latest-quality-improvements-search/). Whilst children might have high levels of digital literacy, we mustn’t let this fool us into thinking that they can understand the torrent of information they see every day. Media literacy is a key life skill and part of our duty of care is to help children develop an active and critical relationship with the news. We can do this by making sure that they have strategies for spotting what’s fake and what’s for real, stopping the spread of false information and promoting a culture of truth. Schools have a key role to play in encouraging the generation of factual information and making the truth louder. In the US, the Association for Education in Journalism and Mass Communication hold an annual News Engagement Day and this year it is on 3rd October. This has now grown into a global event, where people of all ages across the world are encouraged to read, watch, listen to and discuss news. Perhaps we can start our own version in the UK so that children can engage with the news positively and not accept ‘the news’ at face value (see here). Following the success of our spring and summer workshops, we’ve decided to run a few more for the autumn term! We’re running our ‘Using the News to Inspire Young Minds’ workshops after school, on selected dates in Leeds, Nottinghamshire, Leicestershire, North Yorkshire, Lancashire and Cumbria. 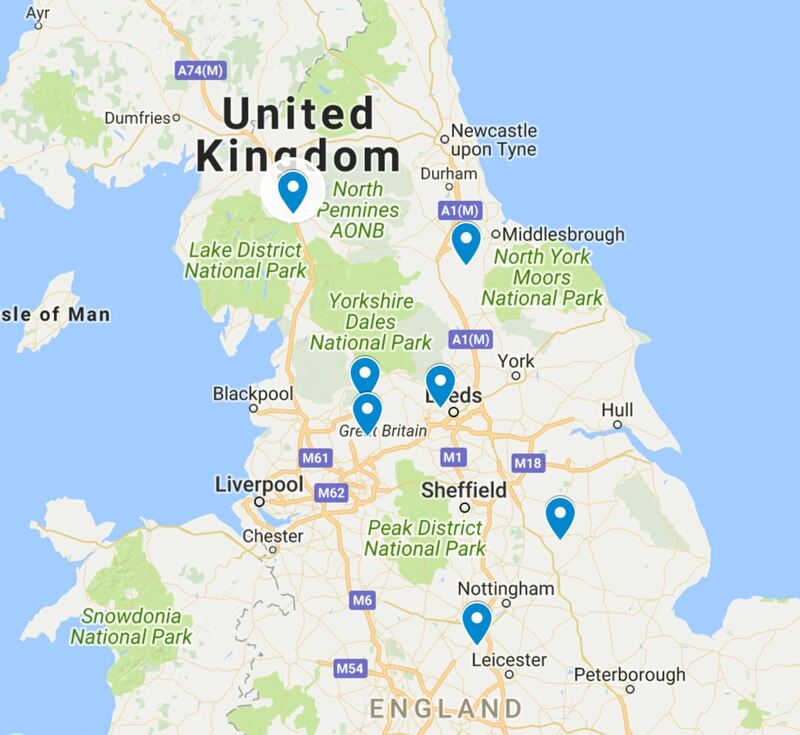 To find out if we’re running any near you, please see our events page here. All of the events are taking place in a Picture News school with a limited numbers of spaces available for each session. Really make a difference to children’s attitudes of their world! It’s back to school and that means you will be getting your classroom ‘ready’ but what do you display? How you design your classroom matters because this is the space that children will spend the majority of their time. Displays make a significant difference to the feel of a classroom and how children feel about themselves. There are a range of design factors that need careful consideration but displays play their part and what we display can affect how children think, behave and perform. “Well-designed classrooms can boost learning progress in primary school pupils by 16%”. There will be plenty of subjects and projects vying for wall space and over the terms, displays will evolve and change in order to keep children engaged and interest levels high. Purposeful and well-planned work-oriented displays set the tone and create a positive climate. Some displays are long-term residents and these mostly relate to classroom management routines, rule and expectations. But there is another display that deserves a permanent spot in a clever classroom and that is a News Board. Also known as Bulletin Boards, Current Affairs Boards or News Flash Boards, these learning zones are a must for helping children develop their media literacy, their analytical and critical skills and abilities to interact with others. Being news savvy is a “global competency” that the Organisation for Economic Co-operation and Development (OECD) is keen to promote, especially in relation to the impact of fake news. Andreas Schleicher, the OECD’s director of education and skills, recently argued that schools have a role to play in making sure that young people have a chance to debate different views and opinions in a more interconnected world. This is where News Boards can play a living and interactive part of classroom life supporting children to be mindful and inclusive citizens of the 21st Century. They can help children see the world through different perspectives, appreciate different ideas and be open to different cultures. In the spirit of the recent OECD report ‘Global Competency’, News Boards have a very powerful role to play in teaching children how to be responsible citizens and how to interact respectfully, appropriately and effectively in connection with a range of issues. Picture News resources are ideally placed to help children interact with key news events and can help raise awareness of multiple perspectives, develop critical thinking skills, promote analysis, reflection and problem solving. A News Board is a static feature in the sense that a display board is devoted to the news but the actual content changes weekly making it a vibrant and dynamic classroom feature that children will constantly learn from. News is ever-changing and children are on the same journey. Taking the conscious step to display weekly news items using powerful pictures and news features is a strong characteristic of a dialogic classroom. The news items displayed are there to be discussed, mulled over, explored and crucially, debated. Recent research by the Education Endowment Foundation (EEF) shows that teaching children to argue helps their academic development. Around 2,500 nine and 10-year-olds took part in a trial of “dialogic teaching”, in which teachers asked open questions and encouraged children to explain themselves rather than just state answers. The research found that ‘learning how to dialogue’ helped considerably and children who took part made on average two months more progress in English and science than a similar group of pupils who did not take part. From a News Board perspective, this is great news because the news items that are posted aren’t just there to be looked at or to fill a space – they are there to be talked about, interacted with and used as a shared experience to exchange views, opinions and ideas. Talking about news content aids conceptual understanding, broadens world views and helps children take creative leaps. They are ripe for asking open questions and for opening up minds. Debating news items, peeling back stories and getting under their skin can help children improve their higher order thinking skills, engagement in current affairs and their confidence to articulate their views. The quality of talk can dramatically improve when teachers give time to focus on the news. 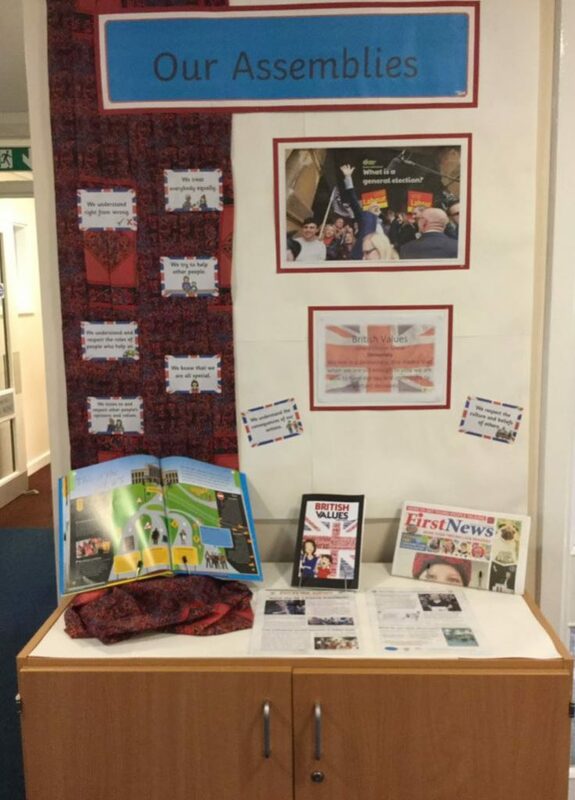 News Boards help children learn how to talk and discussing news items provides an opportunity for them to reflect on the nature of society itself and understand social issues. In this sense, making news a feature of class and school life feeds and fuels oracy and helps children engage democratically with each other. Interacting with the news via News Boards and resources like Picture News can help you cover a wide range of subjects and connect to all areas of the curriculum too. Talking about the news dips its toes into the whole curriculum. This helps build language, vocabulary, oral expression and listening skills. But learning how to dialogue isn’t all talk. Reading about the news boosts reading comprehension and helps children become more effective readers too. Interacting with the news also helps children develop their writing skills as they can learn about the different styles of journalism and writing used to portray news information. News Boards are an essential tool for classroom communication between teachers and children, children and their peers as well as between children and parents, visitors and volunteers. They are natural talking points and when used habitually as part of class life they can make great waves. Setting up a News Board is simple and easy to do and changing the news from week to week is not onerous. The backing paper can be a newspaper and what you display on it can be a poster, photo, headline or newsletter such as the Picture News newspaper. These can be combined with class news items and any other local features that are newsworthy. Weekly news communicates the message that domestic and global current events aren’t just something that happen ‘out there in the big wide world’. They connect children to their immediate surroundings, their home environments, their country and the wider world by making them an integral part of different contexts. Children are part of the news not just as consumers but as active participants talking and debating what has happened and what might happen. 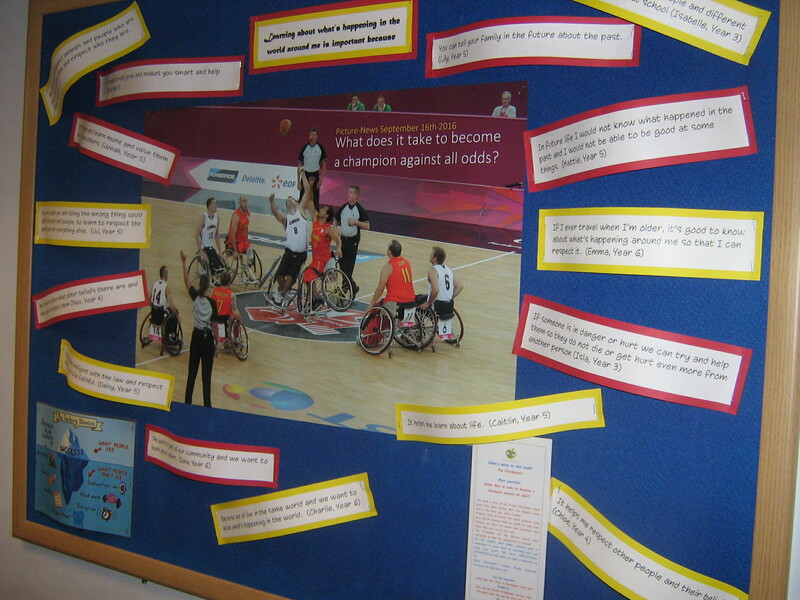 Views and opinions can be posted around news boards quickly and easily using Post-it Notes and so children can take ownership of the News Boards. Despite all the busyness and back to school business that can cloud your vision, one thing it is important not to lose sight of is the power of involving children in the news. So, make that display and make news a regular talking point so that children become commentators, reflectors and debaters of information not passive recipients or news victims. Champion the news and you’ll have a class full of worldly-wise news champions who know what’s going on and won’t accept the news at face value. Children who have a regular news intake as part of a current affairs programme at school tend to have a far more positive attitude toward the news. It helps them learn about and understand the importance of people, issues and events in the news and feeds their interest in finding out more about what they see and hear around them. They increase their awareness of and interest in current events and develop into adults who interact intelligently with the world around them by being informed citizens and lifelong active participants in the news.